Year after year I find myself racking my brain in search of Christmas gift ideas for Dad. My dad, it seems, is one of the most people on the face of the earth to shop for. He doesn’t really have any hobbies, and anytime he needs or wants anything, he simply goes and buys it. A few years, I have to admit, I ended up resorting to things like premade gift sets filled with things like crackers, meats and cheeses from the superstore on the other side of town, and I even used to try adding to his tool collection a few times. While my dad would never really act disappointed by my attempts, I could see in his eyes that he wasn’t impressed. I decided to make things right. After spending countless hours wandering aimlessly through the aisles of every hardware store and sporting goods store in town and coming up empty handed, I nearly gave up. When shopper’s exhaustion finally got the best of me, I carried myself home and decided to take a new approach. I got out my laptop and curled up under a cozy blanket to begin my search for the best Christmas gifts for Dad from daughters. It was the best decision that I ever made. I discovered a whole new world of shopping that day, and from then on I have taken pride in presenting my dad with wonderful Christmas gifts every year. If you’re having trouble finding magnificent gifts for your dad this holiday season, here are a few creative ideas to help you out. If your dad is a coffee lover, start his day off right throughout the upcoming years with a professional style coffee center. 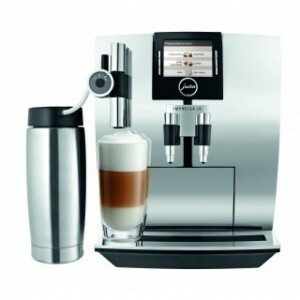 There are many varieties to choose from in a wide range of prices, and these innovative machines can do everything from making an amazing traditional cup of coffee to creating a sensational specialty coffee drink in a matter of minutes. Consider giving Dad a personalized pocket watch or other unique piece of jewelry this holiday season. Forget about those expensive jewelry stores at the mall that would drain your wallet with a single purchase and check out our wide variety of high quality, affordable pieces instead. Not only are these pieces uniquely designed, but many can be personalized for free! Feature Dad on the cover of a fake magazine this holiday season. You can include a photo of him at his best, and even feature unique characteristics about him or accomplishments that he has made. If you are down to the last minute, you can even choose to print the magazine cover directly from your home computer! It isn’t always easy being Daddy’s little girl, especially when it comes to shopping for Christmas gifts for him. What creative gifts do you plan to give your dad this Christmas?